I moaned about getting up at the crack of dawn yesterday for Royal Baby Watch, but it wasn’t actually a hardship. It’s lying in bed that’s the problem. I’ve had a screwed up left shoulder for a month now, so I can’t lie on my left side. My dental misery has now shifted to both sides of my jaw and they’re so tender I can’t lie on my right side either. Hence I spend the night on my back. My back doesn’t like that very much so it’s putting in a protest as well. I wake every morning about 5am going “Ohhhhhhh, owwwww … so this is what it feels like to be 80”. Send me to the knackery. I’m pretty cross about my jaw. Oh and the hundreds of dollars I’ve fruitless spent on physio to try and fix my shoulder. “You know you’re getting old when you stand around pondering botox with the other mums at a kids’ birthday party. As I have prior knowledge of the botox experience, I was the centre of attention. It all started with a “botox splint” the plastic surgeon recommended when I wanted a pregnancy-induced granuloma thingy removed from my forehead. The “botox splint” was to freeze the muscles in my forehead and reduce movement-related scarring during the healing period. It’s a giddy feeling to be told you need botox for medical reasons rather than vanity ones. Takes all the guilt out of it. As I lay on the table being pin-cushioned, I suggested they might as well jab between my eyebrows while they were at it. Five hundred bucks later … The weird thing about botox, which I didn’t realise, is that it takes a week to 10 days to kick in. I woke up every morning to peer in the mirror and jiggle my eyebrows like a mad woman until one day I suddenly couldn’t anymore. It felt a bit weird to have a frozen forehead, but I looked very serene and relaxed, even while seething with stress and insecurity on the inside (you could probably still see it in my eyes if you looked closely enough). 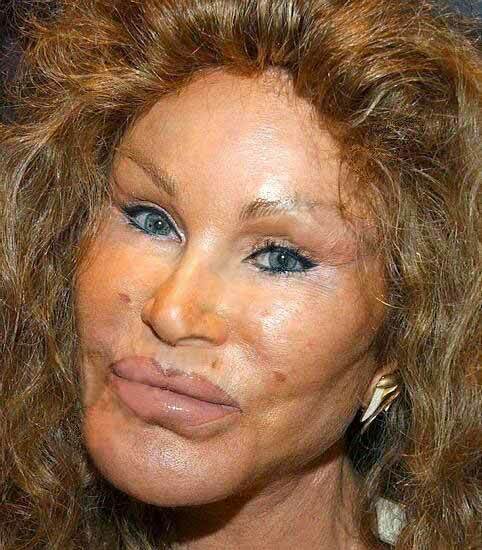 When I went back to the plastic surgeon to get my stitches out, he offered to make me his human guinea pig and provide lots more free botox, plus some fillers thrown in. I didn’t tell Husband, because Husband doesn’t agree with botox. He wouldn’t agree with fillers either, if he knew what they were. Husband will be very cross when he reads this blog tonight. I turned up at the consulting rooms and was subjected to an hour of sheer torture. I’m not so good with needles, especially big ones thrust right down close to your cheek and jawbones so the filler stuff stays in position longer. I went out to dinner that night with the school mums feeling like I’d been bashed around the head by Mike Tyson. Was it worth it? Well, Husband didn’t spot anything different about me. A beauty editor swore I looked brilliant, but it’s her job to notice stuff like that. I possibly looked slightly younger and more evenly facially aligned. Will I be going back for more? No, not even if it’s free. Hurts too much and requires topping up too often. Sadly my hair isn’t long enough for a ponytail any more … Might have to resort to botox again after all. No, that’s right, there’s another blog I wrote … Beyond Botox Renouncing Renovation … sigh. Haha…what on earth is a Knackery? Interesting to read about your botox and filler experience, I have heard from clients that getting fillers put in is quite a violent experience…ouch! It’s where they “retire” old horses and turn them into glue.